The goal of the KIRIK (KRK) project is creation of semantic contracts, which have no shortcomings of Ethereum based smart contracts. Semantic Contracts = Smart Contracts 2.0. The technology is understandable to specialists in various subject areas and allows to conduct transactions between various blockchains and outside of them. The Kirik project is set to create semantic contracts that would allow for cross blockchain transactions. 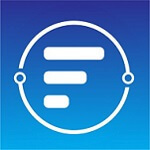 Semantic contracts can be automatically verified and have a visual editor and a template system that speeds up the process of contract creation. Semantic contracts made by the Kirik projects are applicable in jurisprudence, public administration, crypto-asset investment management and in artificial intelligence. 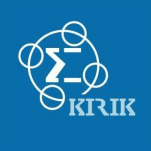 Kirik blockchain serves for maintaining KRK coins and the semantic contracts are separated from the Kirik blockchain.